You should be redirected automatically in a few moments, but if not, please click here to see if Black History Month and Liverpool has made the transition. Any student of Liverpool history (and any Liverpool child schooled in the history of the last 300 years) knows the role of black people in the growth, development and wealth of the city, particularly in the Victorian period. At this time every year, however, a wider debate occurs as to whether Black History Month is still relevant. Is black history not worthy of study the rest of the year? Does the study of general history not include black people to the proper extent (and what is the ‘proper extent’?). It’s probably not an argument that can be resolved conclusively, easily, or soon, but Liverpool for all its crimes during the height of trans-Altlantic slavery is in a well-placed position to enter the debate. 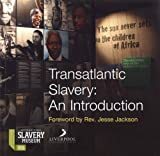 The award-nominated International Slavery Museum at the Albert Dock is perhaps the major place to go to learn about Liverpool’s role in transatlantic slave trade, and was built on the success of the transatlantic slavery gallery in the Merseyside Maritime Museum. As the Vision for the museum states, despite the horrors that went on as part of that trade “the story of the mass enslavement of Africans by Europeans is one of resilience and survival against all the odds, and is a testament to the unquenchable nature of the human spirit.” The museum is telling an affirmative story of the people, who are depicted as humans, not simply victims. Another story which is being told, and which has special relevance to the subject of this blog, is that by Eric Scott Lynch on the Black History Tours. As their website explains, the tours encourage us to “raise our eyes from the ground, both physically and metaphorically”. This, coincidentally, was how I developed an interest in the physical urban history of Liverpool: by looking at the details of the buildings, the friezes above the great doors of the Victorian institutions and the road names dotted around the city centre, you can see generally the past written out for you, and specifically the role of slavery – enslaved Africans and the wealthy who traded in them – in the creation of Liverpool as it is today. Speaking of street signs, you may remember that Laurence Westgaph wrote a leaflet called ‘Read the Signs’ back in 2007. The leaflet covered a number of streets in Liverpool who were named after those involved in the slave trade – either making money from it or campaigning for its abolition. A debate surrounded whether these streets should be renamed – including Penny Lane and Bold Street – or whether by keeping the streets as they are we would be reminded of how history played itself out. There are events going on during Black History Month in Liverpool Museums. See the 2010 Events Programme for details. You can download Laurence Westgaph’s Slavery Remembrance Tour as MP3s and an accompanying map from the Liverpool08 website. Another useful resource for your educational needs is of course Liverpool University’s Centre for Lifelong Learning. They have an ongoing programme of courses, of which you may be most interested in History and Local History, or perhaps Irish Studies, which includes Finding the Liverpool Irish. If you know of any courses which might be of interest to readers of this site, do get in touch. Or have you been on a course just mentioned, and want to recommend it? Let us know in the comments. 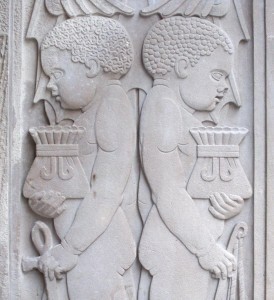 From the 15th Century through the 19th Century, 15 miillions of Africans were enslaved. From the 15th Century through the 19th Century, 15 million Africans were enslaved.